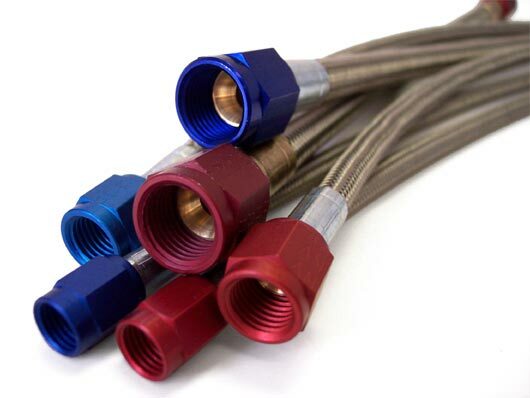 Here you will find top quality braided stainless steel lines with teflon and the quality AN fittings. Good nitrous lines and fuel lines are important to any nitrous system. They make for a clean and good looking install, and a reliable system without hoses coming off, cracking, failing etc.